Personal information is like uranium—it generates kilotons of energy, but it can also be a killer if mishandled. Just look at the recent Marriot’s Starwood data breach, which put some 500 million guests’ information at risk. Customers trust in companies to handle their data. So in Starwood’s case, it’s likely the company will lose brand value and customer trust. Yet the need for personal information and data has never been greater. Customers want personalized experiences, which require lots of data and a strong strategy to proactively and safely manage it. Data capture: How will you obtain the right data on prospects and customers over time and across channels to build actionable profiles, drive targeting, and enable personalization? Data management: What data will you collect in the future? How will you store and share it? How will data hygiene be implemented? What data standards and formats will you use? What insights will you derive from it? Privacy policies and compliance: What is your promise to customers on how you collect, use and share their data? Are you compliant with GDPR, GLB, or HIPAA? How are you communicating this to customers? Do you have platforms in place to respond to privacy preferences? Data monetization: This one is my favorite! Many large, diverse corporations are waking up to the fact that they have oceans of customer data and very little idea what to do with it. Companies like NBC Universal are building entire teams to identify, unify and monetize their data assets in new and creative ways. 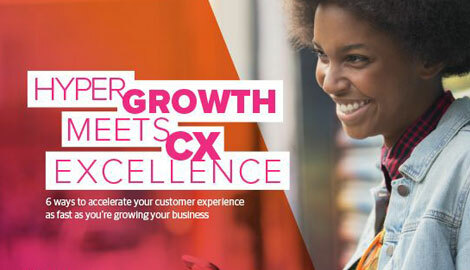 Your CX strategy will only be as good as the quality and quantity of customer data will allow. Begin thinking about your data strategy in the early stages of the CX effort. Include a broad group of experts in the project, including marketing, IT, service, and even legal staff to answer these questions. Keep an eye on the real prize—using diverse data sets to create new products, services, and experiences.